Bangalore, India, April 9, 2019 - 42Gears, a leading UEM solution provider, has recently strengthened its Mobile Email Management capabilities by improving email security. The feature has been enhanced to better suit the needs of businesses that employ mobile workforces and those that allow their employees to use their own devices for work (BYOD). Bangalore, India, March 12, 2019 - 42Gears Mobility Systems, a Visionary in Gartner Magic Quadrant UEM solution provider now offers management of Office 365 applications on mobile devices. This support allows customers to access integrated suite of Microsoft Apps and Services through 42Gears UEM. Using this feature, Office 365 applications can be secured and accessed seamlessly on employee mobile devices. Bangalore, India, February 12, 2019 - 42Gears Mobility Systems, a leading UEM solution provider that has been identified as a Visionary in the Gartner Magic Quadrant 2018, has recently moved its corporate office to AMR Tech Park, Bangalore, India, from its previous office in HSR Layout, Bangalore. The move is in line with the company’s plan of expansion. Bangalore, India, February 4, 2019 - 42Gears Mobility Systems, a leading Unified Endpoint Management solution provider is proud to announce it has entered into a partnership with Mobility MEA, the leading enterprise mobility service provider in the Middle East and Africa. Bangalore, India, January 28, 2019 - 42Gears Mobility Systems, a leading Unified Endpoint Management solution provider is proud to announce that the technology Pradeo Security Mobile Threat Defense (MTD) is now available to 42Gears Unified Endpoint Management (UEM) users. Bangalore, India, January 8, 2019 - 42Gears Mobility Systems, a leading UEM solution provider positioned as a Visionary in the 2018 Gartner Magic Quadrant, announces the release of the Virtual Reality Device Management Solution- SureMDM for VR. The solution enables management of Oculus Go, a standalone Virtual Reality headset. Bangalore, India, December 6, 2018 — 42Gears Mobility Systems, a leading Unified Endpoint Management solution provider positioned as a Visionary in the Gartner Magic Quadrant 2018, announces that it has launched a Self Service Chatbot for enterprise end users. 42Gears has extended its ‘DeepThought’ engine, a virtual assistant chatbot, to function as a self-service portal for end users. Bangalore, India, November 29, 2018 — 42Gears Mobility Systems, a 2018 Gartner Magic Quadrant recognized Visionary UEM solution provider announces that it now offers support for Apple Classroom App. The support is aimed at minimizing the manual installation and configuration of iPads to be used in classrooms for learning and education purpose. Bangalore, India, November 26, 2018 — 42Gears Mobility Systems, a leading Unified Endpoint Management solution provider positioned as a Visionary in the 2018 Gartner Magic Quadrant has been onboarded by Lenovo Tablet Business Unit division as an official MDM solution vendor. Bangalore, India, November 12, 2018 — 42Gears Mobility Systems, a Gartner Magic Quadrant Unified Endpoint Management solution provider launches its Partnership Program - “COSMOS”. Partnerships are key to 42Gears’s success. Bangalore, India, October 29, 2018 - 42Gears Mobility Systems, a leading, Gartner Magic Quadrant recognized Unified Endpoint Management (UEM) solution provider is now an official Android Enterprise Zero Touch Enrollment EMM Partner. Bangalore, India, October 23, 2018 - 42Gears Mobility Systems, a Gartner Magic Quadrant VISIONARY for Unified Endpoint Management 2018, is excited to be named by customers as a 2018 Gartner Peer Insights Customers’ Choice for Unified Endpoint Management. Bangalore, India, October 16, 2018 - 42Gears Mobility Systems, a leading Unified Endpoint Management (UEM) player announces that it has onboarded UniStrong as an OEM partner. UniStrong is a renowned provider of high-precision products, rugged devices and services for the Global Geospatial Industry. Bangalore, India, October 3, 2018 - 42Gears Mobility Systems, a leading Unified Endpoint Management solution provider positioned as Visionary in the Gartner Magic Quadrant 2018 announces that it has launched its Community Forum “SkyBase”. Bangalore, India, September 17, 2018 - 42Gears Mobility Systems, a Visionary in the Gartner Magic Quadrant for UEM Tools 2018, announces that it is now an official Samsung Knox Mobile Enrollment partner. Bangalore, India, July 26, 2018 - 42Gears Mobility Systems, a global UEM solution provider, announces that it has been placed as a Visionary in the first ever ‘Magic Quadrant report for UEM Tools’ by Gartner. This positioning is based on 42Gears’ completeness of vision and ability to execute. Bangalore, India, July 3, 2018 - 42Gears Mobility Systems announces its inclusion in Forrester’s Now Tech: Unified Endpoint Management, Q2 2018 report. Forrester has placed 42Gears in the ‘Mobile Specialist’ segment, who simplify PC management using native MDM APIs. Bangalore, India, June 19, 2018 - 42Gears Mobility Systems, a leading Unified Endpoint Management solution provider has expanded its portfolio to include support for managing Linux-based IoT gateways such as Mozilla Web of Things gateway and IoT endpoints connected to them. 42Gears UEM will enable companies to manage IoT sensors and devices remotely through these gateways. BANGALORE, India, May 30, 2018 - As more companies embrace the convenience of working with a mobile workforce, accessing and sharing work contact details is often cumbersome and inefficient. 42Gears Mobility Systems, a leading Unified Endpoint Management (UEM) provider has launched AstroContacts, an enterprise shared contact management tool enabling seamless communication amongst on-the-go teams. Bangalore, India, May 21, 2018 - 42Gears Mobility Systems, one of the first providers of Wearable Management Solution under its UEM umbrella, has expanded its offering to include support for Application Management for Android based wearables. Apart from managing apps on devices like Smartphones, tablets and PCs, enterprises can now also manage Android Wear OS apps from 42Gears UEM console. Bangalore, India, May 10, 2018 - 42Gears Mobility Systems a leading digital workspace solution provider, announces that it has extended its UEM platform to manage macOS entire lifecycle from a central console. Enterprises can now enrol their Macs on 42Gears UEM for better security and management. Manchester, April 24, 2018 - 42Gears Mobility Systems and Barcotec are proud to announce their partnership to offer EMMenabled rugged computing devices to European businesses. Bangalore, India, April 9th, 2018 - 42Gears Mobility Systems, a leading provider of Unified Endpoint Management (UEM) solution announces the release of its new Analytics Engine. The Analytics Engine will enable data capture, storage and analysis for 42Gears customers to deliver smart business insights. With this 42Gears adds the power of Analytics to its UEM platform. Bangalore, India, March 5th, 2018 - 42Gears Mobility Systems, a trusted Unified Endpoint Management (UEM) Solution provider announces that it is now offering mobility management solutions for Satin Creditcare Network Limited (SCNL), Satin Creditcare Network Limited (“SCNL”) the second largest microfinance company in the country. 42Gears solution helps SCNL secure enterprise data, improve productivity and minimise cost of in-house IT support. Manchester, UK, February 8th, 2018 - 42Gears Mobility Systems, a leading provider of digital workspace technologies announces that its Enterprise Mobility Management (EMM) platform - SureMDM has been named as one of the best mobile management software in 2018 by Computer Business Review (CBR). 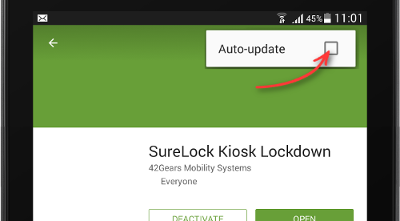 BENGALURU, India, February 5th, 2018 - 42Gears Mobility Systems, a leading Unified Endpoint Management solution provider announces the launch of ‘Multi User Profile Settings’ for SureLock, 42Gears’ kiosk lockdown solution. The new feature allows sharing of a single device with multiple user profiles on a single device. BENGALURU, India, January 8th, 2018 - 42Gears Mobility Systems, a leading enterprise mobility solution provider announces that it is now offering “42Gears UEM” a Unified Endpoint Management Solution, with immediate availability. 42Gears UEM will enable companies to manage and protect company data across all endpoints. BENGALURU, India, December 26th, 2017 - 42Gears Mobility Systems, a leading Unified Endpoint Management (UEM) Solution provider announces that it has emerged as a top Mobile Enterprise winner in the Mobile Star Awards 2017 by Mobile Village. BENGALURU, India, December 14th, 2017 - 42Gears Mobility Systems, a leading Unified Endpoint Management (UEM) Solution provider announces that it has won Deloitte Tech Fast 50 India award third time in a row. 42Gears has made it to the 2017 rankings of the esteemed program conducted by Deloitte Touche Tohmatsu India LLP (DTTILLP) that picks out the 50 fastest growing technology companies in the country. BENGALURU, India, November 28th, 2017 - 42Gears Mobility Systems, a leading provider of digital workspace technologies, announces that MRF Tyres has selected 42Gears EMM Solution to provide secure access to MRF product application on the tablets in the exclusive stores. BENGALURU, India, November 2, 2017 - 42Gears Mobility Systems, a leading provider of digital workspace technologies, today announced that it has expanded its partnership with ViewSonic to offer 42Gears Nix agent integration with the latest version of ViewSonic media players. BENGALURU, India, October 9, 2017 - 42Gears, a leading enterprise mobility solutions provider, today announced that it has been cited as a sample vendor for EMM suites in the 2017 Gartner Hype Cycle for ICT in India. BENGALURU, India, October 3, 2017 - 42Gears Mobility Systems,a leading Enterprise Mobility Management (EMM) solution provider, today announced that it now offers one-touch mass deployment of Zebra devices. Zebra Technologies is a pioneer in enterprise mobile computing and produces an extensive range of handheld rugged devices used to drive mobile operations in enterprises. BENGALURU, India, September 12, 2017 - 42Gears Mobility Systems, a leading Enterprise Mobility Management (EMM) solution provider has pioneered the integration of Artificial Intelligence into EMM solution by launching ‘DeepThought’, the Virtual Assistant Chatbot, for its SureMDM platform. 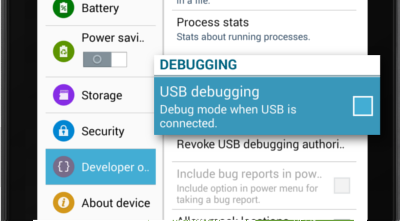 The Beta version of this new feature will be released in September 2017. FREEMONT, California, September 1, 2017 - 42Gears Mobility Systems, a front runner in the Enterprise Mobility Management (EMM) industry announces that it has entered into a Partner Agreement with IDAT, a Dispatching Solution Independent Software Vendor (ISV). IDAT works for non-emergency medical transport, paratransit and taxi service providers. BENGALURU, India, August 18, 2017 - 42Gears Mobility Systems, announced today the support for Linux based Raspberry Pi for its EMM platform. Through 42Gears EMM platform, enterprises will now be able to manage IoT deployments that include sensors and small handheld devices connected to Rasp Pi Gateway. BENGALURU, India, August 17, 2017 - 42Gears Mobility Systems, a leading provider of Enterprise Mobility Management (EMM) solution, announces that Gartner has featured 42Gears as a sample vendor of Enterprise Wearable Device Management in the Gartner Hype Cycle Report: Hype Cycle for Unified Workspaces, 2017. BENGALURU, India, August 14, 2017 - Leading Enterprise Mobility Management (EMM) solution provider, 42Gears Mobility Systems, announces its expansion in the United Kingdom by setting up its third worldwide office in Manchester. 42Gears is headquartered in Bangalore, India and has a US office in Fremont, California. FREMONT, Califronia, July 24, 2017 - 42Gears Mobility Systems, one of the leaders in the Enterprise Mobility Management (EMM) industry announces that it has joined the ScanSource S3 program as an Independent Software Vendor (ISV). The S3 program connects resellers directly to strategic partners to help improve the resellers’ skill sets and add new revenue streams. As a member of the program, 42Gears will be able to assist resellers by complementing their existing solutions. BENGALURU, India, July 12, 2017 - As more companies adopt the convenience of working with mobile-equipped workforce, the demand for measures to keep a check on cellular data consumption also continues to grow. 42Gears Mobility Systems, a leading Enterprise Mobility Management (EMM) solution provider is now offering a cellular data limit functionality on its SureMDM platform that allows companies to turn off mobile data access on the enrolled iOS devices (7 and above), once their billing threshold is breached. BENGALURU, India, June 29, 2017 - 42Gears Mobility Systems, a top player in the Enterprise Mobility Management (EMM) industry announces that it has onboarded SpectraLink as an OEM partner. SpectraLink is a world-famous provider of secure and cost-effective mobile communication solutions. BENGALURU, India, June 21, 2017 - 42Gears Mobility Systems, a leading Enterprise Mobility Management (EMM) has been mentioned in Gartner Magic Quadrant Report for Enterprise Mobility Management Suites, published on 6th June 2017. BENGALURU, India, June 16, 2017 - 42Gears Mobility Systems, a leading Enterprise Mobility Management (EMM) solution provider, has perpetuated the importance of giving back to the community since its inception. And now as it completes 8 years of service, 42Gears announces that it has expanded its mission to provide mid-day meal for school children by partnering with Akshaya Patra Foundation. BENGALURU, India, June 13, 2017 - 42Gears, As business mobility continues to evolve, so must the solutions to manage its functionalities. 42Gears Mobility Systems, one of the leading Enterprise Mobility Management (EMM) solution provider announces the launch of SureVideo Digital Signage Solution for Windows 10 platform. BENGALURU, India, June 2, 2017 - 42Gears Mobility Systems, a leading Enterprise Mobility Management (EMM) player has won the India Emerging Twenty IE20 2017. The award was conferred to 42Gears on 25th of May 2017 by Shalini Khemka - Founder of E2Exchange. BENGALURU, India, May 15, 2017 - 42Gears, a leading Enterprise Mobility company, recently worked with Alkem Laboratories, one of the biggest Indian pharmaceutical companies to help secure on-field mobile devices from misuse and to enhance workforce productivity. BANGALORE, India, May 2, 2017- 42Gears Mobility Systems, a leading Enterprise Mobility Management (EMM) Solution provider announces the support for Android wearables through its EMM suite . This enables enterprises to adopt wearables for business purpose. The ability to lockdown and remotely manage the wearable devices, makes them enterprise ready. This is a pioneering solution, currently being offered only by 42Gears. HYDERABAD, India, Mar. 24, 2017 - Onkar Singh, the Founder of 42Gears Mobility Systems was awarded the Emerging Entrepreneur award at the CII-SR Regional Emerging Entrepreneur Awards 2016. The ceremony was CII’s seventh edition in association with The Hindu Business Line. The award recognized the contribution of first generation entrepreneurs from the southern part of India who has scaled up their business to establish themselves as global players. BANGALORE, India, Mar. 9, 2017 - 42Gears Mobility Systems, the leading Enterprise Mobility Management (EMM) solution provider in the country announces that Gartner has featured 42Gears products in a case study undertaken for its report on Unlock Mobile Digital Business Opportunities Using Enterprise Mobility Management Capabilities, published on 24 February 2017. BANGALORE, India, Feb. 3, 2017 - 42Gears Mobility Systems, the top Enterprise Mobility Management (EMM) solution provider in the country announces partnership with Test and Verification Solutions (T&VS), a leading hardware verification and software testing solutions and services provider to offer 42Gears’ enterprise mobility management solution for APAC region. BANGALORE, India - Dec. 20, 2016 - 42Gears Mobility Systems, an Enterprise Mobility Management (EMM) solution provider, today announced that it has joined the AppConfig Community. The community is a collection of industry leading EMM solution providers and app developers that have come together to make it easier for developers and customers combating the complexities of the mobility environment. BANGALORE, India - Nov. 22, 2016 - 42Gears Mobility Systems, one of the leading Enterprise Mobility Management (EMM) solution provider, today announced that it ranked 49th on the Deloitte Technology Fast50 India 2016, a ranking of the 50 fastest growing technology companies in India. Rankings are based on percentage revenue growth over three years. BANGALORE, India - Sept. 6, 2016 - 42Gears Mobility Systems a leading provider of enterprise mobility management (EMM) solutions, today announced that it has been identified as a sample vendor of Enterprise Mobility Management in the Gartner Hype Cycle Report : Hype Cycle for ICT in India, 2016. BENGALURU, India - Feb. 5, 2016 - Learnpedia, an edu-tech company in Hyderabad promises to make learning a fun and fascinating experience for students preparing to write various competitive exams. Its flagship product ScoreJEE is already redefining preparation for IIT-JEE (Indian Institutes of Technology Joint Entrance Examination). Learnpedia is promoted by seasoned academicians with deep rooted understanding of the test-prep industry. SANTA CLARA, Calif. - Jan. 27, 2016 - The Rees Hotel Queenstown is one of the most luxurious hotels in Queenstown, New Zealand and is considered the new gateway to the True South. The Rees boasts of a rare blend of stylish Queenstown accommodation, 21st century infrastructure, unique service features with articulate and passionate staff. The property has a total of 60 hotel rooms and 90 luxurious apartments with private balconies to take advantage of the spectacular views.